Grades 4-8, up to 20 students/class. * Introduction to airplane wing construction in a fun hands-on setting. Students learn the basics of airplane wing design and become familiar with the theoretical basis of lift created via Bernoulli’s law governing fluids such as gases and liquids while engaging in airplane wing construction. Grades 3 - 8, up to 20 students/class. * Introduction to flapping aircraft design and construction in a fun, hands on setting. Students learn the basics of ornithopter design and become familiar with the theoretical basis of lift created via flapping wings while engaging in insect or bird wing design and construction. Grades K-2, up to 20 students/class. 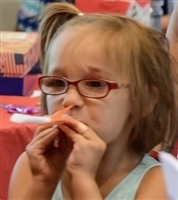 * Fun hands-on rocket building class resulting in each student building a reusable, indoor flyable paper rocket and straw rocket. Grades PreK(age 3-1/2) - 8, up to 20 students/class. * Students learn the basics of Newton's law and its application to balloon rocket car design, and become familiar with wheel and axle design and construction using recycled materials. Note: uses latex balloons. Grades 3 - 8, up to 20 students/class. * Introduction to the basics of magnetism; students will become familiar with the theoretical basis of magnetic lift created via magnetic pole repulsion while engaging in magnetic levitation car construction. Grades 4-8, up to 24 students/class (maximum). Introduction to airplane wing construction in a fun hands-on setting. Students learn the basics of airplane wing design and become familiar with the theoretical basis of lift created via Bernoulli’s law governing fluids such as gases and liquids while engaging in airplane wing construction. Grades K-8, up to 24 students/class. * We provide a solid theoretical understanding of electrical circuits and magnetism with a range of simple electrical robotic-related activities. Grades K-3: students learn to program a Bee-Bot®; additionally grades 2-3 make a magnetic LED throwie. Grades 4-8: hands-on brush-bot creation class culminating in a brush-bot race. NOTE: Bee-Bot operation requires ample hard surface floor space. *If, based on a head count the day of the event, or information conveyed in advance, numbers exceed 25 per class, additional charge will apply. Cancellation Policy: If notice of cancellation is received less than 48 hours prior to event, and event is not rescheduled, a $50 fee will be deducted from your refund. Rescheduling Policy: If request to reschedule is received less than 48 hours prior to event, there will be an additional $50 charge. Grades 3 - 8, up to 24 students/class. * Introduction to flapping aircraft design and construction in a fun, hands on setting. Students learn the basics of ornithopter design and become familiar with the theoretical basis of lift created via flapping wings while engaging in insect or bird wing design and construction. *If, based on a head count the day of the event, or information conveyed in advance, numbers exceed 24 per class, additional charge will apply. Cancellation Policy: If notice of cancellation is received less than 48 hours prior to event, and event is not rescheduled, a $50 fee will be deducted from your refund. Rescheduling Policy: If request to reschedule is received less than 48 hours prior to event, there will be an additional $50 charge.